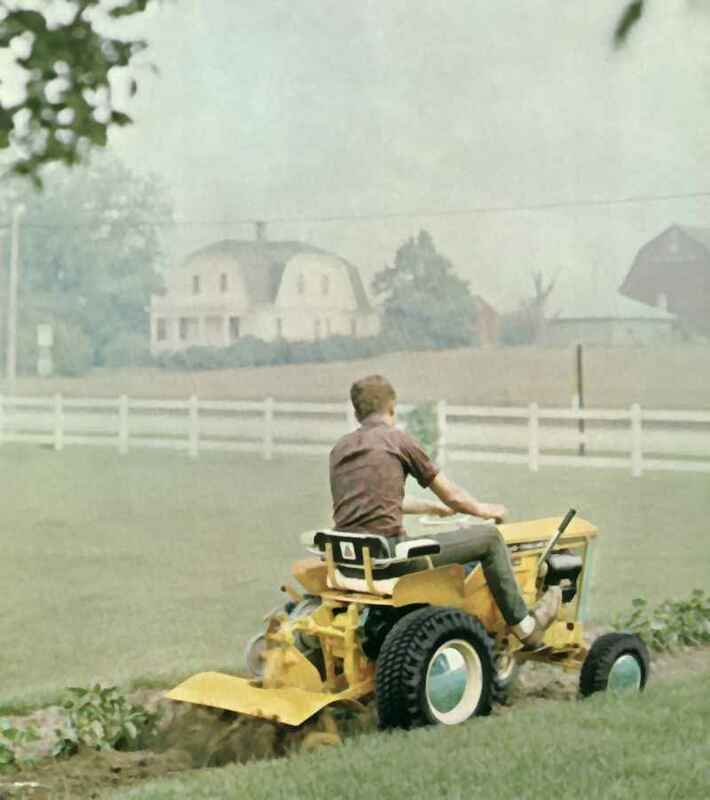 Special tools for the BIG TEN take the work out of gardening, mowing, clearing and maintaining drives the year 'round. Other tools are also available for commercial and industrial uses. Rotary Tiller. Breaks up and blends soil. Makes ideal seedbed nine inches deep. 32 inches wide with extension tines to 42 inches wide. Handy lift lever gives you accurate control of depth. Tines are guaranteed.